The Tifosi Optics Dea SL Sunglasses are complimentary for your active life. 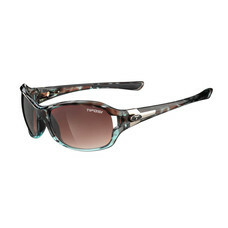 These sunglasses by Tifosi enhance your sense of style without reducing the protection from the sun you need. The Tifosi Dea S.L. Shades are beautifully designed and will for sure make your friends envious. The lenses and the frame combination make these sunglasses truly classic without losing any of the playfulness. When you're constantly active, you need sunglasses that will be right there with you; you need Tifosi Dea SL Sun Glasses.